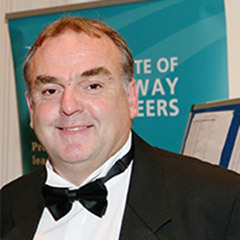 Pat Musgrave has worked in the traffic and safety management industry for more than 30 years and has an entrepreneur’s eye for ground-breaking new products. He is responsible for several industry firsts including the Safelane automated traffic management system and the Multisafe Smart VMS. He also oversaw what is thought to be largest single deployment of solar powered VMS in the world at the London 2012 Olympic and Paralympic Games. Under Pat’s management, MVIS has been instrumental in reducing accidents on UK roads with. For example the deployment of 10 VMS-Cs during A-Ones+’s northbound refurbishment of the A1 western bypass between Newcastle and Gateshead saw zero standing-traffic related incidents during the six weeks they were installed there.